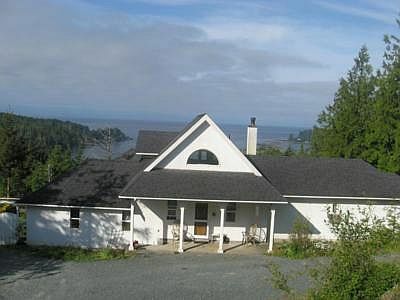 The Brae is an ocean and mountain view cottage located in East Sooke British Columbia on a very private 3.5 acres, surrounded by rainforest with incredible natural beauty and wildlife. 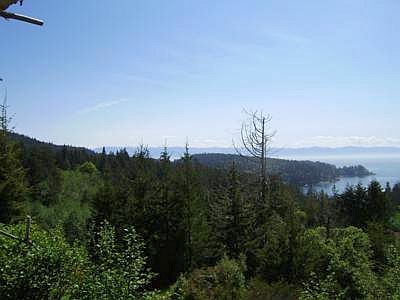 Brae is a Scottish word meaning the hill, and that is where The Brae is, up the hill with a spectacular view of the Juan de Fuca Strait and Olympic Mountains, where there is always something to be seen on the water from big freighters to lots of fishing boats to seals and whales. 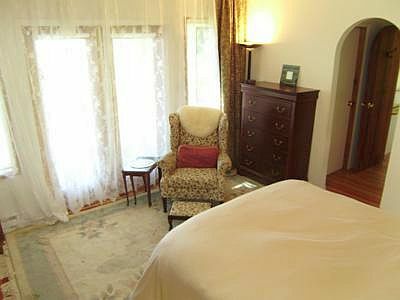 The Brae has a large master bedroom which features nine foot ceilings, a TV and French doors leading outside onto a covered deck. 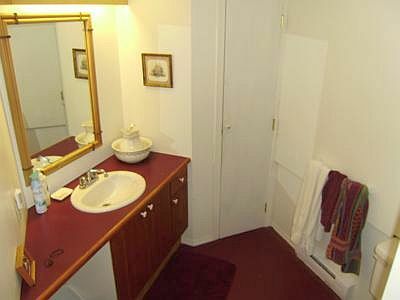 The private bathroom off the master bedroom has an extra large shower as well as a separate tub. The large open-plan living room seems very spacious with it's cathedral ceiling. In the living area, there a stereo with a good selection of music and a TV. 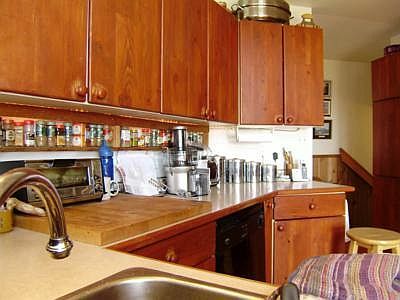 Adjacent you will find the dining room, and the kitchen which also has French doors opening onto the deck where you will find a hot tub. 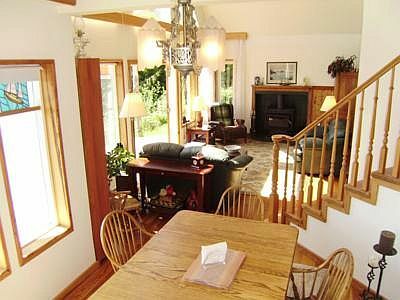 The very large upstairs balcony loft bedroom overlooks the living area and has magnificent views out to the Olympic Mountains. 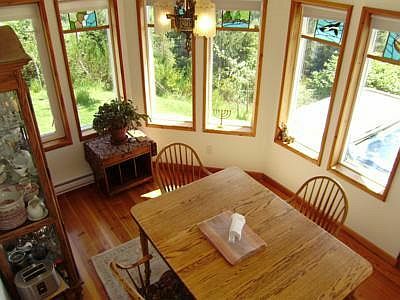 The dining area, with it's beautiful china cabinet, has windows on two sides with the full view to enjoy. 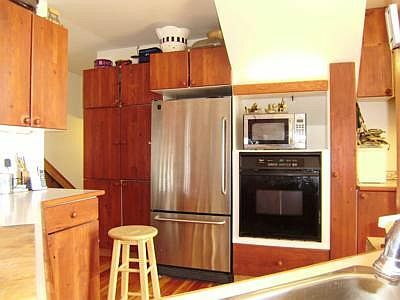 From this level entry area you go down three stairs to the den and second bathroom. 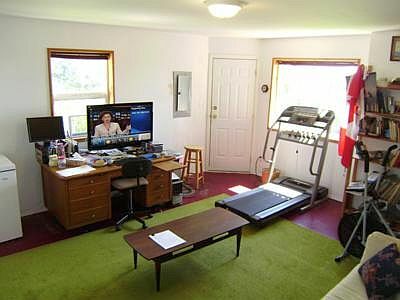 The den features a hide a bed, treadmill that looks out on the view, an exercise bike, a computer, wireless internet, a large screen TV, and a DVD player. 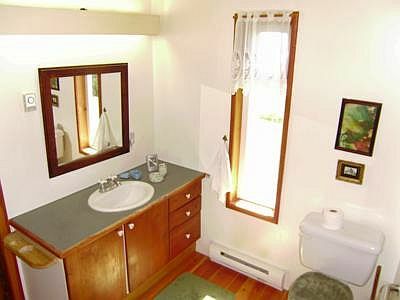 The bathroom on this level is smaller but does contain a shower. 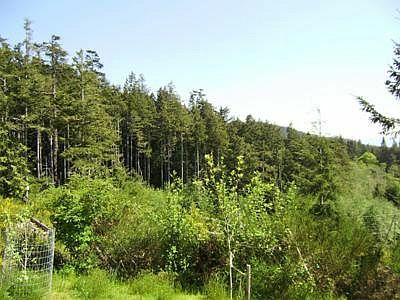 The Brae is a very pleasant forty minute drive to downtown Victoria, a lovely twenty-five minute drive will find you in the town of Sooke and all the major stores are just 25 minutes away in Langford. 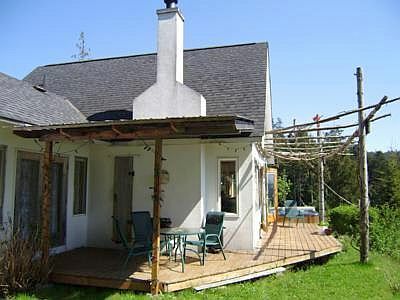 The cottage is also five minutes from the very large East Sooke Regional Park with over 50 km of hiking trails, as well as being minutes by car away from the beautiful beaches at Iron Mine Bay and Aylard Farm. 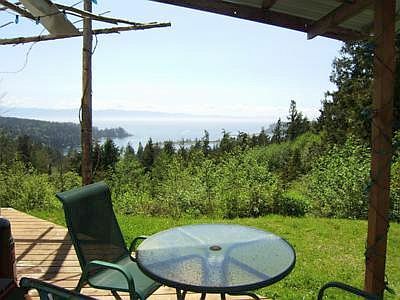 Sooke is famous for its fishing charters and west coast feel. 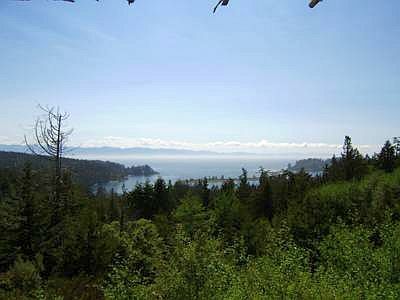 Take a moment to visit and enjoy the Sooke Pot Holes Park on the Sooke River which is a local favourite swimming spot. Many adventures await you if you wish to go out the West Coast Road which will take you to surfing beaches at Jordan River and Sombrio Beach, or spectacular rain forest trails and sandy beaches at French Beach or China Beach. 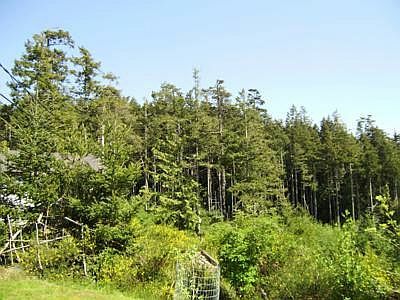 Or you might like to go further to Port Renfrew and see the tallest tree in Canada at the beginning of the world famous West Coast Trail or comb the tidal pools at Botanical Beach at low tide. 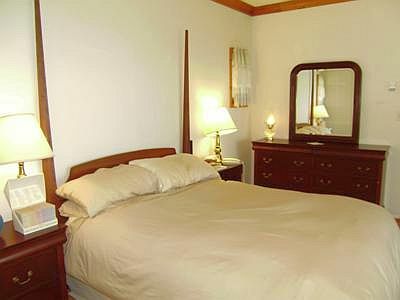 Come and relax at The Brae, you will never want to leave. 1 Queen hide a bed in the den. The accommodation was great and the view from the deck amazing. The good weather probably helped. The initial reservation process was fine but it did get a little tricky trying to coordinate email responses and check-in details on the web when we were already in Canada as we did not always have access to these systems. Can I suggest that, when mentioning it is advisable to tip your greeter, you give an indication of an appropriate amount eg 10 - 20? This avoids any embarrassment on either side. The only slight draw back to the property was the lack of a washing line or clothes airer - not everything can be tumble dried. 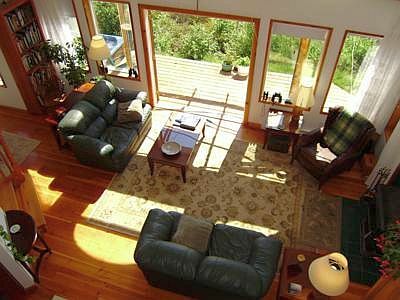 Wir haben zwei sch�ne Wochen in der Brae Cottage verbracht. 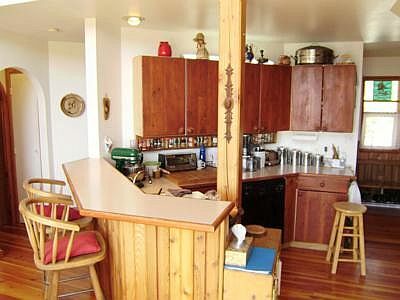 Das Haus ist komfortabel eingerichtet und es hat einen sehr sch�nen Blick auf das Meer. Mit den vorhandenen Ferngl�sern kann man Kreuzfahrtschiffe, Wale und andere Dinge gut beobachten. Im Garten des Hauses wird man von Hasen und Wachteln besucht. Das Haus liegt in einer ruhigen Gegend. Wir haben die Ruhe sehr genossen - auch bei der Benutzung des Whirlpools. Der vorhandene WLAN-Anschluss war optimal. Es gibt auch einen gut funktionierenden PC. Annehmlichkeiten wie Restaurants und Ausflugsm�glichkeiten erreicht man in ca. 20 bis 30 Minuten. Auch Victoria ist in ca. 40 Minuten gut zu erreichen und man kann dort viel erleben. 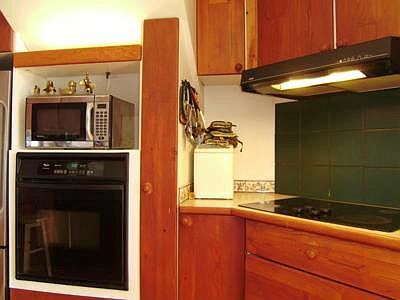 Ebenfalls sind die Weinrouten und die Proben in den Weing�tern ein besonders Erlebnis. 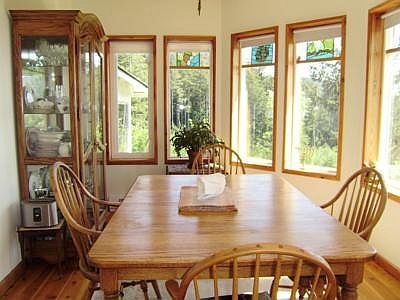 We spent two beautiful weeks in Brae cottage. 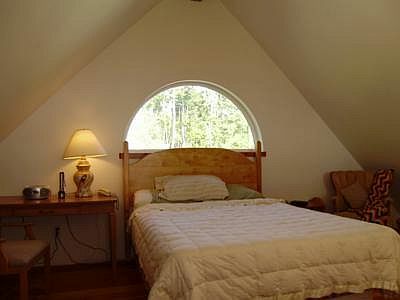 The House is comfortably furnished and it has a very nice view of the sea. With the provided binoculars you can watch cruise ships and whales and other things well. In the garden of the House, it is visited by rabbits and quails. 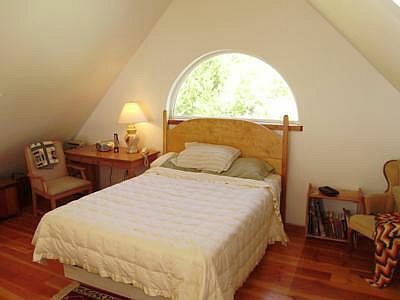 The House is situated in a quiet area. 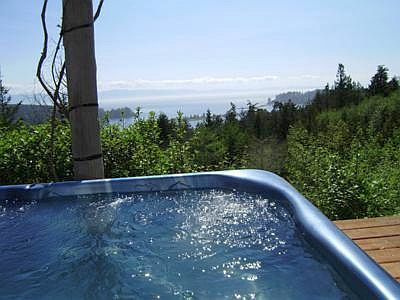 We have enjoyed the tranquility - also the use of the hot tub. The existing Wi Fi connection was optimal. There is also a well functioning PC. Amenities such as restaurants and excursions can be reached in about 20 to 30 minutes. Also Victoria is easily reached in about 40 minutes and you can experience much there. The wine routes and the wine tasting in the vineyards are a special highlight. 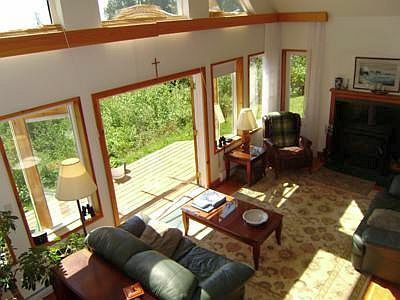 We had a very relaxing and restorative stay at the Brae this summer. The house was very clean, comfortable especially the couches. 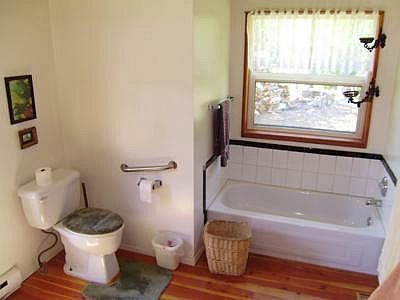 The information booklet provided in the cottage could use more detailing. 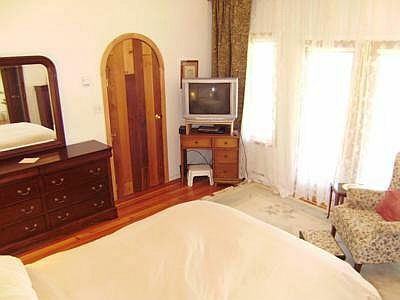 For example, there was information missing about the tv/dvd player and the hot tub.